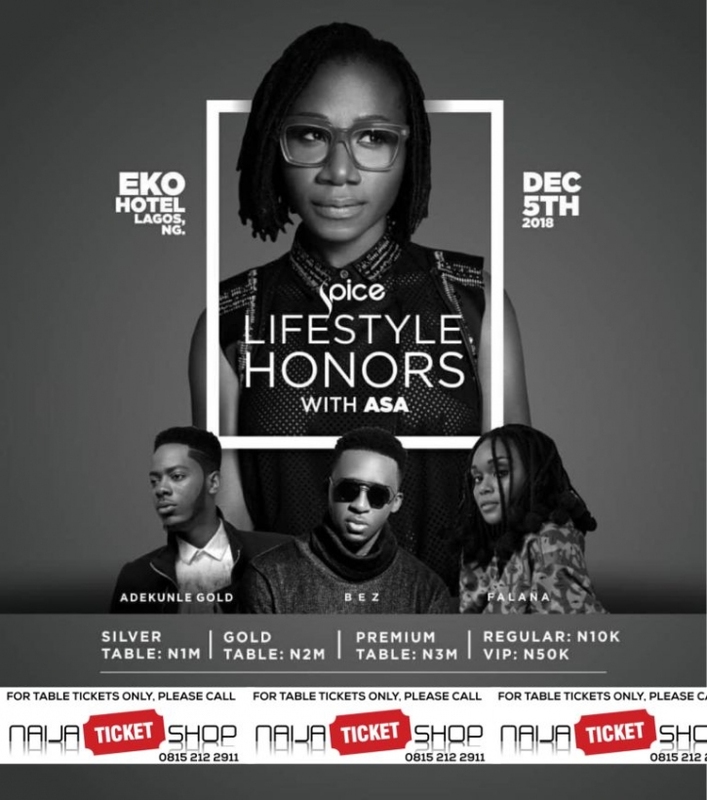 Click to enlarge Africa's number one fashion and lifestyle channel present the first edition of the spice Lifestyle Honors. Spice TV will honor and celebrate the best in the Africa fashion and style industry on a night that will be attended by the fabulous, the glamorous and the trendy. Come wine and dine with the biggest fashion designer showcasing on the runaway including, Lanre Da Silva, Deola Sagoe, Odio Mimonet, Ohimai Atafo, Gavin Rajah, David Tlale and enjoy live music from the resident artiste of the evening, the sensational ASA, Adekunle Gold, Bez, Falana and other Africa artistes. Bullet Description: Africa's number one fashion and lifestyle channel present the first edition of the spice Lifestyle Honors.